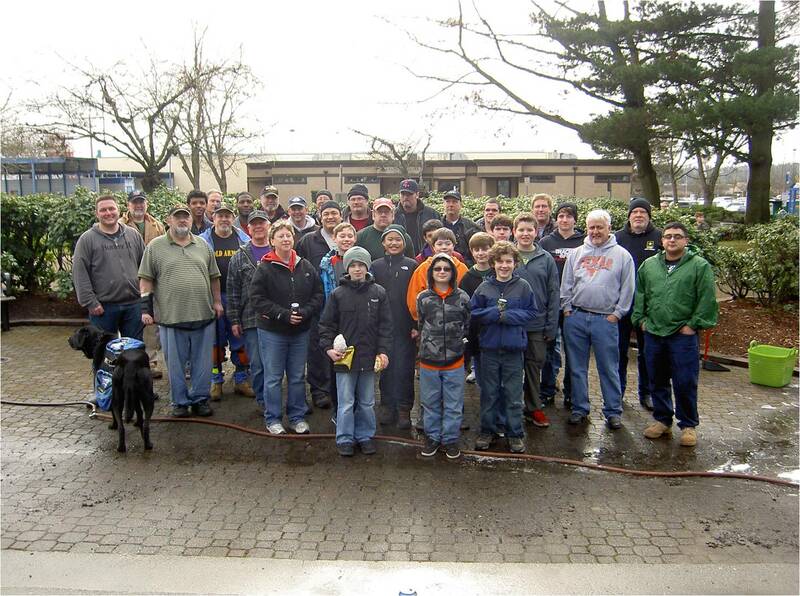 We had a great turnout of volunteers to spruce up the bricks, monuments, and areas of Lynnwood Veterans Park on Saturday, February 23rd. Besides the 10 members from VFW Post 1040, there were many student Veterans from Edmonds Community College, Boy Scouts from Troop 49 and even members of the Lynnwood Rotary. After the many bags of debris were collected and the area pressure washed, we all enjoyed some great deli sandwiches and refreshments. The members from Edmonds CC also took down the names of our 840 engraved bricks and will transcribe them to a spreadsheet for our website. Many Thanks to the Lynnwood Parks personnel for hauling away all the trash, including a tree stump that was dug up from the recent vehicle incident there.